Local Painting & Pressure Washing Professionals! Trust Our Licensed & Insured Experts with Your Next Project! Smith Painting and Pressure Washing is a full service, fully licensed and insured, painting contractor. We have been locally owned and operating in the Eden, NC area for over 20 years! This makes us equipped to tackle all your painting needs whether it is exterior or interior for commercial or residential properties. We also provide power washing, deck restoration, plaster and drywall repairs/restoration, log home restoration, and wallpaper removal. If your home needs restoration or repair, Smith Painting and Pressure Washing can handle it! 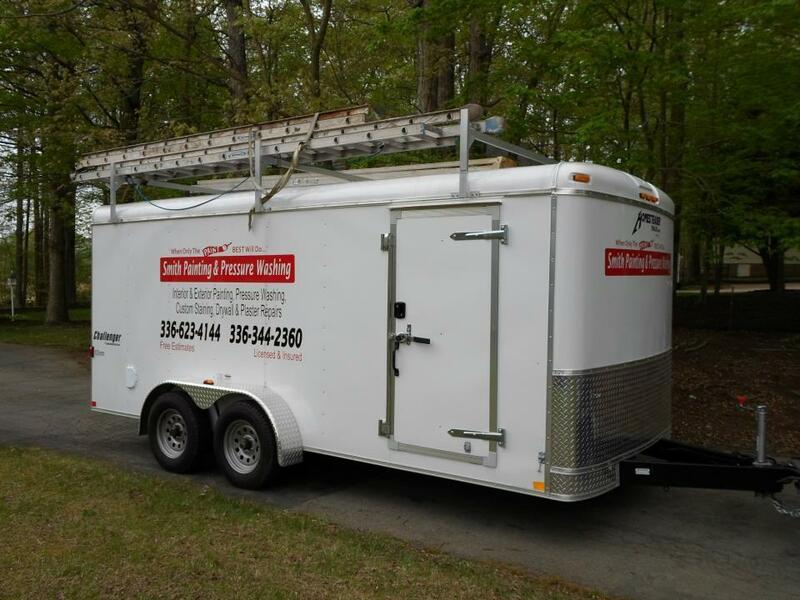 In 1993, owner Craig Smith began working with his father in the family business of Smith Painting and Pressure Washing. In 2003, Craig took over and became the third generation owner of the business delivering quality services to North Carolina. Learn more about our history and integrity. We offer many painting, pressure washing, restoration, repair, and cleaning services. Our long-standing experience in the Eden, NC community and surrounding areas make us experts at our craft. Smith Painting and Pressure Washing is a full service, fully licensed and insured, painting contractor. We have been locally owned and operating in the Eden, NC area for over 20 years! This makes us equipped to tackle all your painting needs whether it is exterior or interior for commercial or residential properties. We also provide power washing, deck restoration, plaster and drywall repairs/restoration, log home restoration, and wallpaper removal. If your home needs restoration or repair, Smith Painting and Pressure Washing can handle it! Copyright ©2019 Smith Painting & Pressure Washing. All Rights Reserved.